Stop procrastinating and participate in running and cycling activities around your locality with Fitso. It’s actually difficult to survive even moderate fitness or exercising regimes since they are dependent solely on your dedication and will. You must have always wanted to do something about your constantly devolving fitness level, but never could derive the right kind of motivation to apply or start your own program. Perhaps, Fitso is one service which might just be the one to serve as motivation in a bid to keep you healthy. 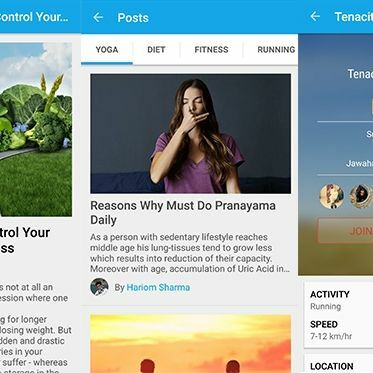 Pitched as an app to bring together fitness enthusiasts with professionals near you, Fitso features several useful sections. Activities will allow you to discover running and cycling meets held around you whereas Events does the same for any kind of fitness event such as marathon runs, cycling, treks etc. Fitso also works as an avenue to connect its users to professionals and trainers. Professionals include dietitians, running coaches, yoga trainers, fitness trainers, physiotherapists, cycling coaches and masseurs. 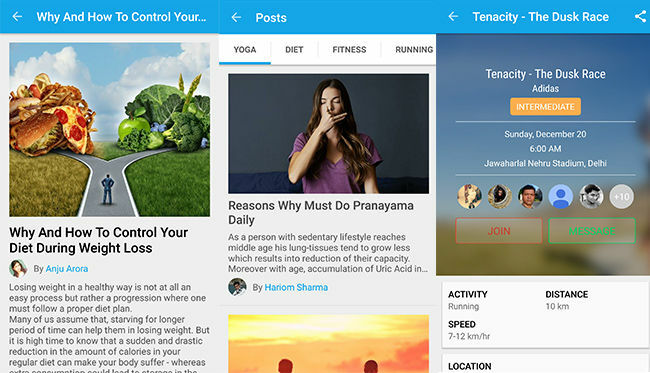 Professionals can also post short articles on specific topics such as Yoga, Diet, Running etc and regular users will be able to refer and employ those habits in their daily lives. On reaching out to the Fitso team, they were quite ambitious about their service as they talked about how the “running and healthy lifestyle in India” was growing at a significant rate. Since fitness isn’t restricted to a particular demographic, they aim to cover all age groups, anyone interested in participating in training events and programs. As for the professionals enrolled in the service, Fitso doesn’t practice any control over the fees charged by professionals. If you’re interested in consulting a professional, you can look up their credentials and charges right inside the app, where several of them can be directly contacted. The app’s interface is quite easy to navigate without any visible bugs on the frontend. Fitso has also incorporated a gamification module of levels to keep you motivated in levelling up against other fitness enthusiasts. But the current module isn’t rewarding enough and it could certainly enhance with users trying to win badges and discounts to avail for professional consultation. The inclusion of difficulty levels for each activity will ensure that you aren’t intrigued with a gasping running challenge on your first day itself. As confirmed by the Fitso team, we’ll soon be seeing more categories being included in the app and also an integrated payment system to make transactions easier between users and trainers. Fitso is currently available in the Play Store while an iOS version is in the works and we could see it coming to the App store soon. The service is functional only in the Delhi-NCR region currently and will be making its way to other cities as well.